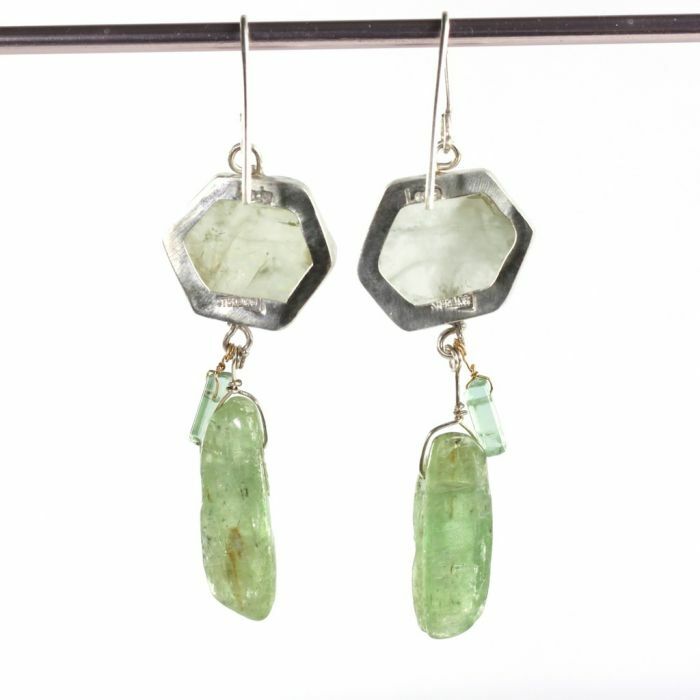 From the “Green With Envy” jewelry collection: Graceful, organic, elongated green kyanite drops and raw green tourmaline crystals dangle beneath natural green beryl slices. Natural beryl slices hand set in fine silver with sterling silver cut out backs. 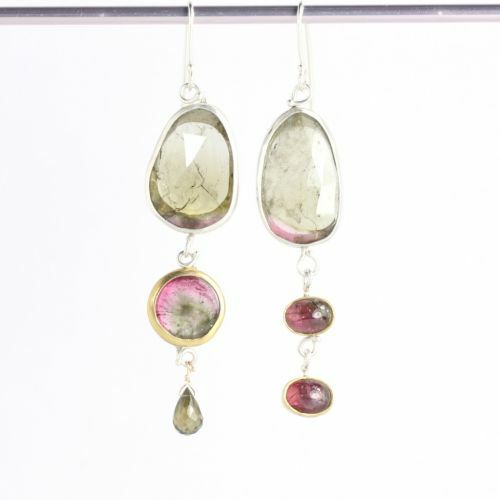 Sterling silver and 18K gold wirework;handmade sterling silver earwires. (What? You can only wear gold in your sensitive ears? 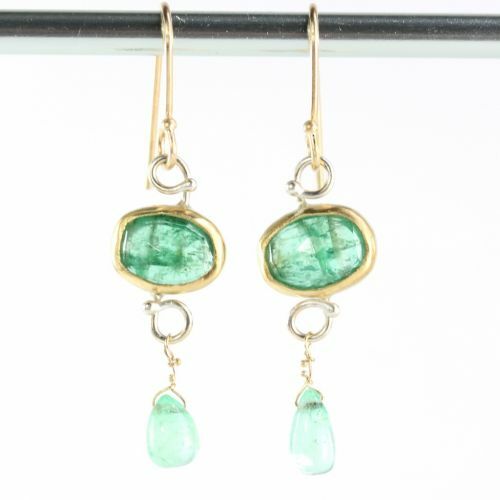 I can make and replace the earwires in 14K gold for $30, 18K for $50). 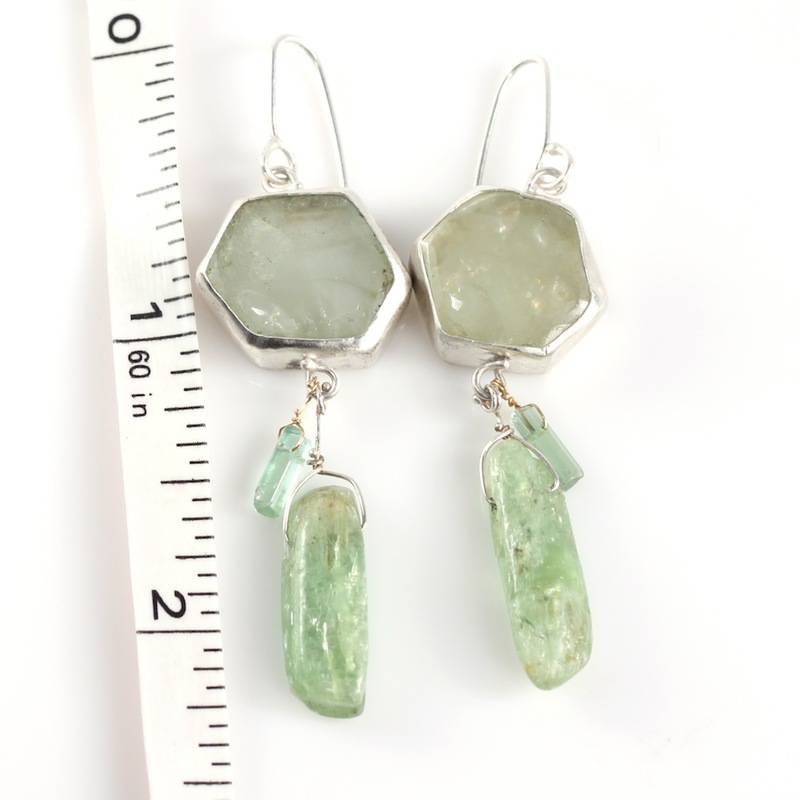 These natural green beryl crystals have been cut from cross sections, and left in their natural shapes, then cut and polished into slight domes. 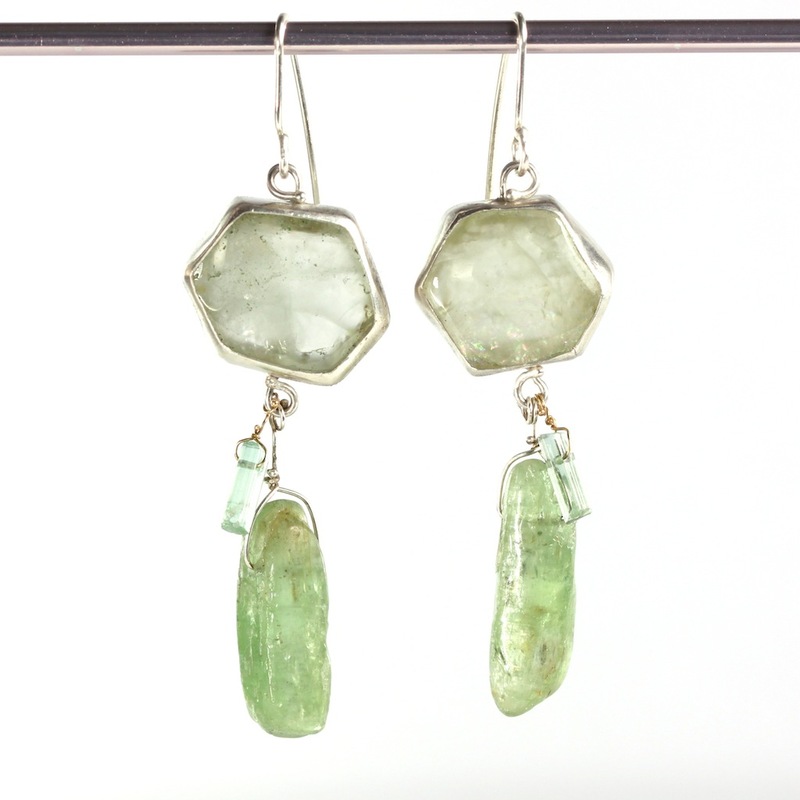 The Metaphysical Particulars: Pale green beryls are considered “healing” crystals. 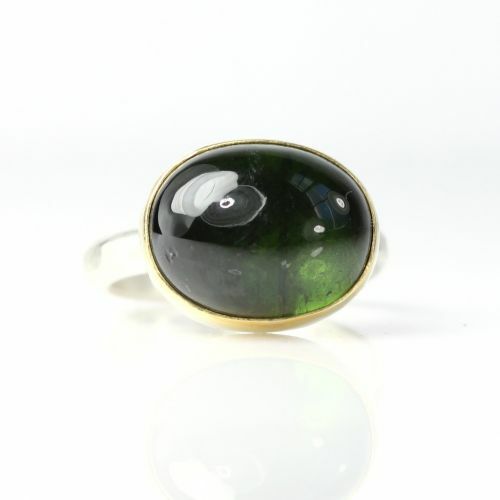 Green tourmalines bring a joy for life, attract money and bring about success in business. 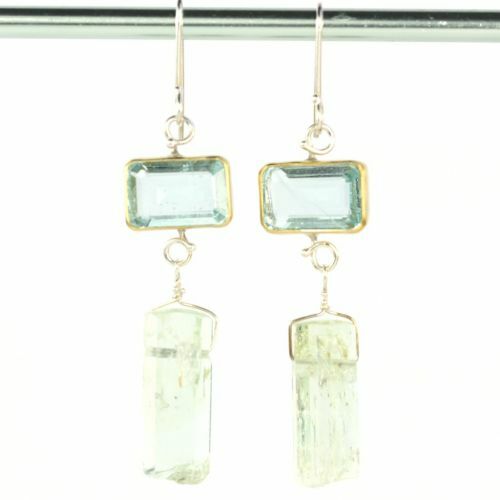 Green kyanite balances one with nature and opens the door to communication with nature spirits. Green kyanite (like citrine) does not hold negative energy; it shows the truth of the heart and enhances one’s dream life. Jewelry to nurture your spirit and enhance your life! 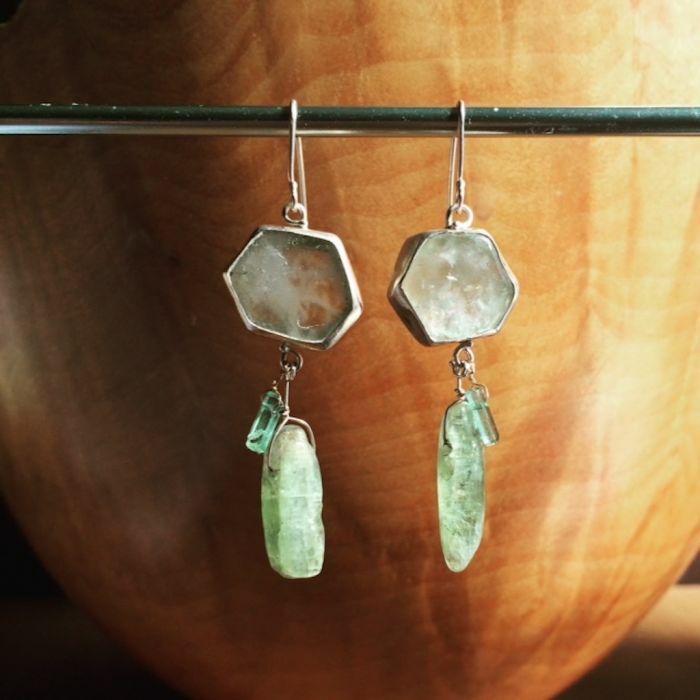 Leda Jewel Co jewelry is created by hand, with natural crystals and gemstones, recycled gold and silver.